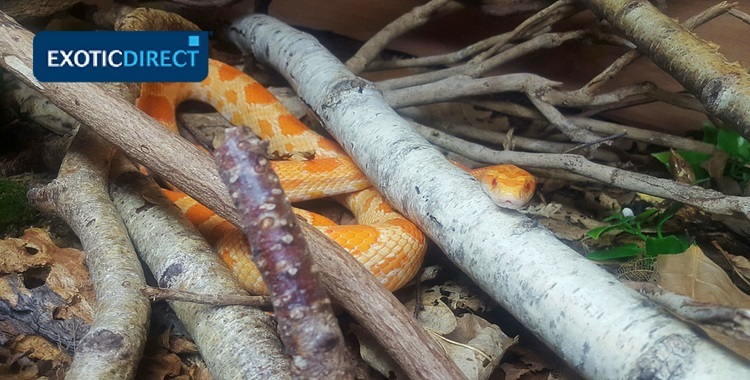 What do corn snakes eat, how should you defrost their food, and what's the best time to feed your snake? We answer all your corn snake food questions. 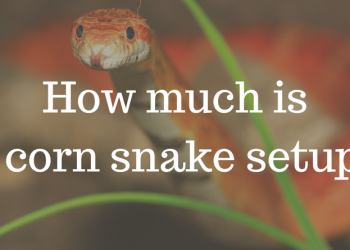 Is your Corn Snake insured? Get a quote for £1,000 of vet fees, death and theft cover. 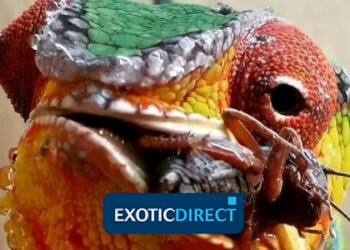 Vet fee cover only also available | We've been insuring exotic pets since 1996 | Check out our customer reviews on Feefo. Just like other snakes, the commonly kept corn snake is carnivorous. And In their natural habitat of southern and central United States, they would readily consume a multitude of prey. From natively found mice and other rodents to amphibians, birds, and even bird eggs. All of the above I purchase frozen. Northampton Reptile Centre who will deliver to your door. So as you see, there’s no real excuse for not having variety, even with a snake. 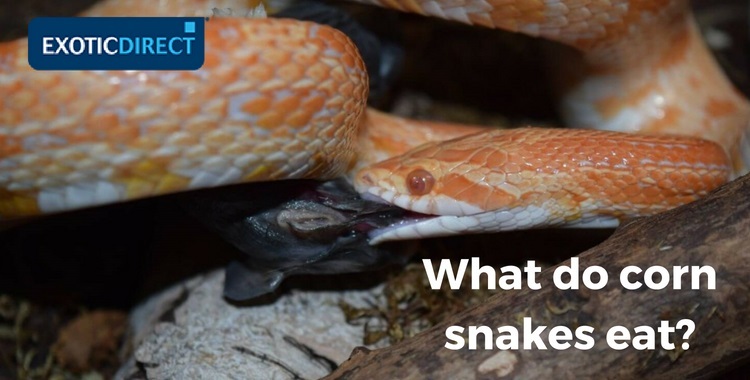 How often do corn snakes need to eat? When is the best time to feed a corn snake? What treats can you give a corn snake? Why is my snake so aggressive after feeding? Why is my corn snake not eating? Can corn snakes eat roaches, vegetables, eggs, fish, beef or pork? Fish: I know keepers that have fed fish to their corns and they have taken them. But for me, it is not part of their natural diet anyway. So I'm not going to start feeding such now. Eggs: I've fed quail eggs over the years to many rat snake species, corns included. But a long time has passed since I've personally fed such. Roaches: (crickets. locust etc). These can't be fed. Veg: These can't be fed. Beef: This can't be fed. Pork: This can't be fed either. Not only are these foodstuffs nutritionally poor, but you would unlikely get a feeding response from the snake anyway. 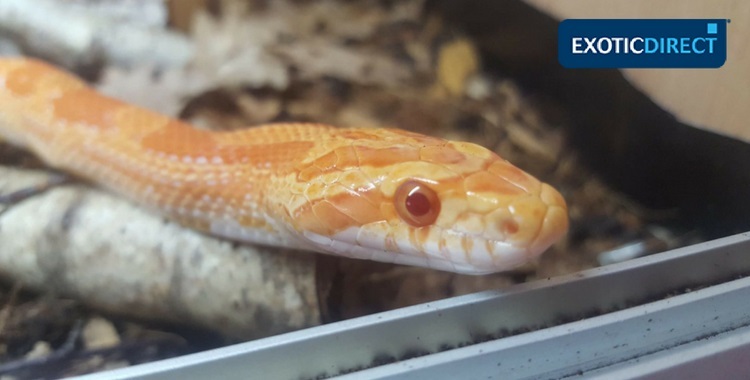 How often should you feed a corn snake? This for me is very much age and snake size related, as well as the feeder/prey size. Hatchlings: I fed my hatchling corns a pinky mouse every five days for a good six or seven months. Some say to feed hatchlings two or three times a week, however I think that’s a little excessive. Juveniles: For snakes over six or seven months, feed once every seven to ten days. Do this for a couple of years, also going up in prey size with the snakes growth. Adults: For fully grown snakes (those that are two years +) I wait a little longer feeding every 14 to 21 days. This is obviously based on the prey feeder size I'm giving. For the first couple of months the corn will only be able to have pinkies. Even rat pups will be too big for those first couple of months. After this period you’ll be good to rotate feeders. Rats and mice should be offered, in fact rats are nutritionally better as there’s more muscle and less fat. But of course variety is also great and my preferred option. Snakes will have different weights at the same age, depending on the diet given where you made your snake purchase. For me, if I have a young or hatchling corn I feed pinkies up until the corns weight is around 25-30g. I then move up a feeder size to fuzzy. Overall though. When deciding on what mice or rat size to feed your corn it’s a good rule to go with a feeder that is roughly the size, in width, of the snakes mid-body section. Slightly bigger won’t be an issue, but too big and it can lead to issues such as regurgitation and stress. Either way, it’s not good. And you need to remember, if you go for bigger food increase the time between feeds. It’s certainly not uncommon for a corn snake that has been fed a weaner rat, to then not be fed again for 10 to 14 days, sometimes longer. And absolutely no issues will arise. 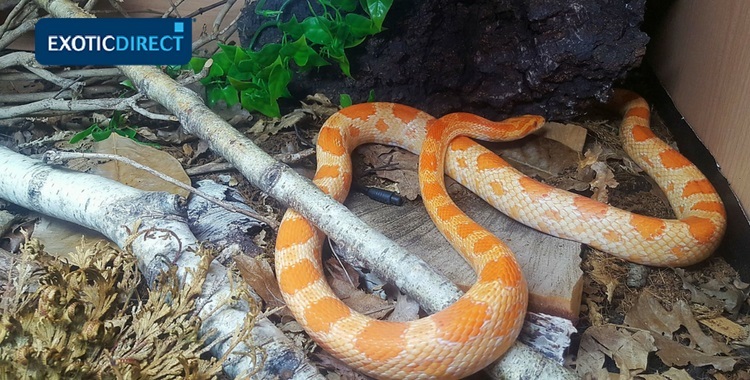 Corn snakes would probably eat everyday if you provided them the food. They are pretty quick metabolically, but health wise this would only lead to obesity and major weight related issues, and possibly premature death. You can often tell when your corn is wanting food as it will actively “hunt”, pacing up and down, and fully exploring the setup searching for food. Of course allowing them to do this for a few days is not causing any issues, and certainly no cause for giving in and feeding if a feed is not due. In-fact, the 'hunting' behaviour can be considered a good form of exercise. Finally, when you buy your corn snake always ask what their feeding regime has been. They will be able to give you a full breakdown without any issue. What is the best time to feed a corn snake? This can be fully dependant on your own schedule regarding time of the day that you choose to feed. As long as you have good feeding regime when it comes to how frequently you feed. the time of day is almost irrelevant. I've known keepers to have a corn that wouldn't feed with their lights (uvb) on, and only when it was dark. But that's not common. What treats to give a corn snake? There is little in the way of treats to give your corn snake. Many consider the likes of 'chicks' a treat item. But nutritionally, apart from being slightly more fatty, they are not to dissimilar to their usual food. The only common side-effect is the fact feeding a chick often causes more loose faecal waste from your snake. This in turn causes them to be placed in the “treat food” bracket. And I'd go with that too. How long can you keep frozen mice in the freezer? A good guide to go by is up to six months for hair and/or fur-less prey. And six to nine months for those with hair, fur or feathers. They can probably last a little longer if the packaging is unopened. You should always use a proper deep freeze freezer, not just the quick freeze compartment at the top of your fridge. Also packaging plays an important role here, as little air as possible is best. And a good thick freezer bag should be used if they are not already individually bagged and sealed. Anything exposed to the freezer via a ripped bag, or un-bagged will get freezer burns. These tend to look all crystallised and almost grey in colour. The snake would probably still eat them once thawed out, and it’s unlikely it would make them ill, however it’s still not a nice thought to feed them to your snake. Due to the variety of morphs available that can have an effect on natural body build, as well as breeding genetics, it’s hard to define an ideal weight. I’d recommend keep a personal record of your snakes weight. Weighing every month is a good idea. This will help you understand fluctuations and what’s ‘normal’ for your snake. As for what to look for, it’s probably easiest to go by the shape of the snake via the circumference. A snake of healthy weight will have a flat underside, and almost semi-circle body. The idea is for the snake to have as much surface area for traction on their stomach as possible. An overweight snake will be much more rounded, leaving the sides of the belly not touching the ground with movement. An underweight snake will look almost triangle in shape, with the sides pretty straight leading up to the spine. If you have a snake that is either under or overweight. It's best to consult your exotics vet, and discuss a relevant feeding regime. Unless is a medical issue like parasites, both can be rectified by following a strict dietary regime. What I do is take out a frozen mouse/rat/chick and if it’s in its individual packaging, I leave it in. I'll defrost it in the fridge overnight for the next day, or on the side at room temperature in a tub for around two to five hours.. My preferred method is the fridge. Anything from pinky to hopper will defrost in two or three hours. I'd say weaner and bigger three to five hours. You can defrost in cool water and it will be faster, probably half the time. Do not defrost in warm or hot water. Bacteria associated with disease and decay can begin to reproduce in these wet conditions over a period of a few hours. That's lot of dangerous bacteria to be feeding your corn snake. Once you have properly thawed that prey, you must warm it up before feeding to your corn snake. Some will place the prey in hot water (not boiling) and leave it for five minutes and then offer to the snake. Personally, I'm a dunker. I'll submerge the top half of the prey in very hot water for about 30 seconds (again, not boiling water) and then offer to the snake via some large metal tongs (forceps). This method has served me very well over the years. I have had some snakes that wouldn't take wet prey, so I'd resort to heating the head with a hair-dryer for about five mins. It was a total pain in the backside but needs must as they say. I've known some to also use a microwave. This is something I have never done and I wouldn't recommend doing such. There are disaster stories of exploding mice and rats and that is something I'd not want to be cleaning up. As long as the method you choose allows that prey to be fully thawed no issues will arise. Why is my corn snake so aggressive after feeding? This is something that annoys me. I see it in my Snake group on Facebook (Snake Network), as well as other groups. People removing their snake from its setup and feeding in a tub/rub or another tank. People seem to have this notion that if you feed the snake in its setup, it will become setup/cage aggressive. No. The setup is the snakes territory. Why would you remove the snake from its established territory, a place where it feels safe, confident and stress free into a tub with none of these? And then move the snake back into its setup. Again, major stress alert, while also risking regurgitation. If the snake is aggressive in and around its setup, its just being a snake. Feeding outside of this will not change this situation. If anything it will just cause stress, which in-turn, can cause illness to your snake. So please feed your snake in its own setup. How long does it take for a corn snake to digest food? 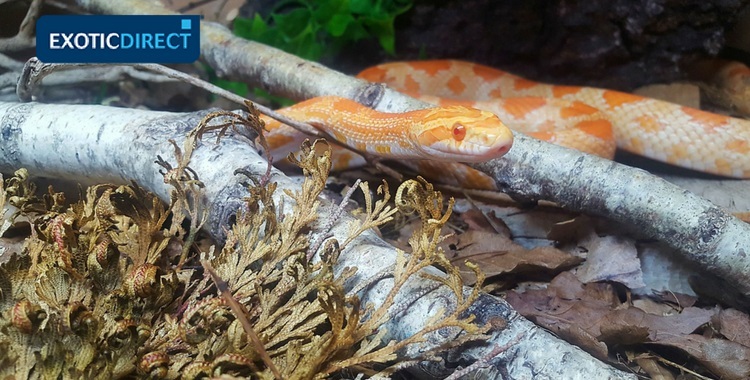 Providing you have the correct temperature within the setup (see my corn snake care guide here on ExoticDirect), the 48 hour “rule” is a great guide. Can you handle a snake after it eats? You shouldn’t handle your corn (or any snake) for 48 hours after a feed in order to allow the snake to fully digest its meal. If you handle your snake when it’s just eaten you risk stressing your snake out and causing it to regurgitate its meal. 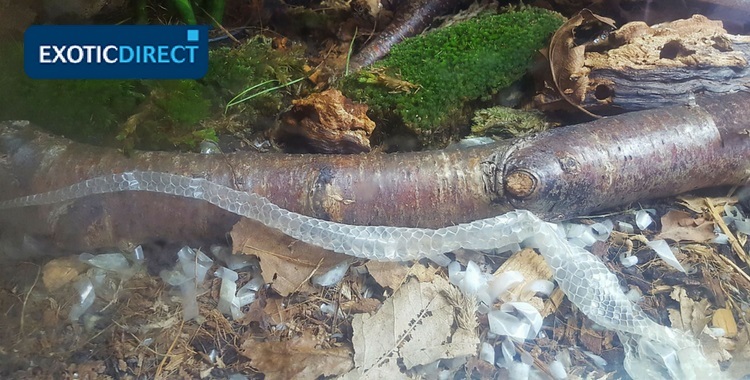 Regurgitation in itself is a huge stress burden for your snake and could lead to possible illness. Regurgitation can also happen if your snake is fed something too large to digest. If this does happen try not to panic. Wait a few more days, and feed something much smaller. Winter months: Reptiles are very sensitive to air pressure changes, and you'll even find some act differently during a storm. Regardless of your setup, the changing weather can impact your reptiles appetite. Brumation can also occur, which is linked to seasonal changes, and this can lead to a reduced appetite. Fussy eaters: Often a change of feeder prey will break a stubborn corn snake's food strike. From mice to rats, or vice versa. It’s a good idea to rotate food anyway, as you’re then less likely to have a fussy eater on your hands. If your corn has not taken the food you can leave it in the setup for another two or three hours as some will not take food when you are in their territory. If it’s not taken after this period then you must discard it. Dehydration: It's essential you provide water for your snake - dehydration can lead to ill health and loss of appetite. Snakes will drink via their mouth. I provide a large bowl deep enough for the snake to drink from, soak in, to aid shedding or to cool down. Growing: It's also not uncommon for a corn snake to miss a scheduled feed or two while growing. If this is the case, while obviously you'll be annoyed you've wasted a feeder, just try the feed again in five to seven days and keep an eye on that snakes weight. And make sure that the snake has adequate hydration. Incorrect temperature: One of the most common issues I see is incorrect temperature. This will stop a snake from feeding, regardless of species. With a digestion time of 24 to 48 hours in the correct conditions, any lower temperature will cause food to take longer to digest. This in turn can cause digestive issues and the snake will not want to eat. So it’s vital you have a good heat gradient in that setup with a basking zone of around 30c. A little higher or lower won't be much of an issue providing there is ample coverage and options to self-regulate. 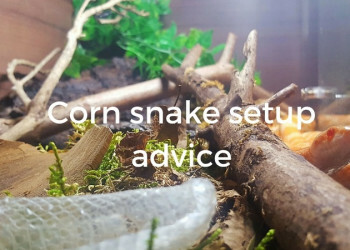 Again, check out my article on the correct corn snake setup, written for ExoticDirect. Any significant weight loss, or over long extended time of not eating, please consult your exotic vet as there could well be some underlying issues present. Pending shed is also another popular food strike cause. A snake will often hide away during this period which can last a couple of weeks. And it’s certainly not uncommon for a corn snake to refuse food. Many will not care if they are about to shed or not, and still eat regardless. For me, if they are due to shed. I'll wait until the process is over. This is because if they shed while digesting a meal it can cause areas of stuck shed. This is due to the stretched skin trying to compensate for the food bulge in the digestive system. Personally I'd rather a nice complete hassle free shed. What's a pinky, fuzzy, fluff and hopper? Pinky: A pinky is a newborn mouse. Ranging from one to three grams in weight, depending on where you purchase them. They have no fur and are high in protein, with a pretty low fat content. Some consider them to be quite fatty, but this is wrong. They often have the benefit of a belly full of the mothers milk, making them a bundle of calcium (often seen as a white blob through the pinky skin around the stomach area). The equivalent rat would be a rat pup. These a slightly bigger in size, around 5g. Fuzzy: A fuzzy is a baby mouse, that has fur. Albeit, not a great deal of it. They are slightly bigger in size and weigh around 3-5g. The rat equivalent is called a fluff. And around 10-25g in weight, so quite a substantial difference. Hopper: You then have the next stage, hoppers. These are around 5-9g in weight and are fully formed, but not fully grown. The rat equivalent would be the weaner rat, at around 25-50g. Adult mice and rats: You then move onto fully developed mice and rats. The only difference would be smaller and larger sizes.